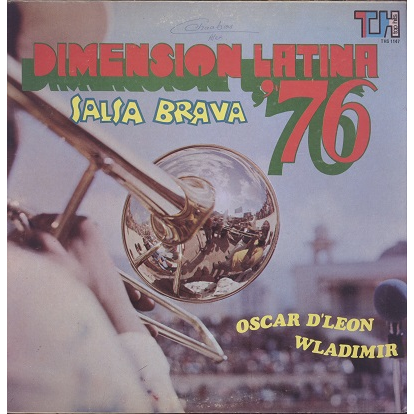 Solid Salsa, Guaguanco LP by Oscar D'Leon and band Dimension Latina on original US pressing. Sleeve has top seam split, name written on front, some seam wear, stilll decent looking. Solid VG+ record.